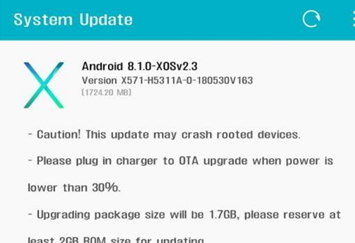 Finally infinix is rolling out Android 8.1 Oreo OTA updates to Infinix Note 4 Pro devices after rolling out OTA update to Note 4 users few weeks ago. The update is official and it comes with improved battery features and performance. Android File Go file manager app has been added to save your files. Other features include Eye Care Mode, picture-to-picture mode, and Duo function for video calls. How Do I know if Infinix Note 4 Pro Oreo Update is Available for my Device? If you own a Note 4 Pro and are yet to be prompted for the update, you can manually check for it by diving into your phone settings >> About Phone >> Check for latest update. If its available, tap on “Download And Install” to download the Android 8.1 update on your phone. Relax and wait for the new update to fully install. After successful installation, your phone will be rebooted Android 8.1 Oreo. Welcome to the club! Let us know if you have any challenges with the update or you notice any bug. Infinix Note 4 PRO users get in here, this is for you.